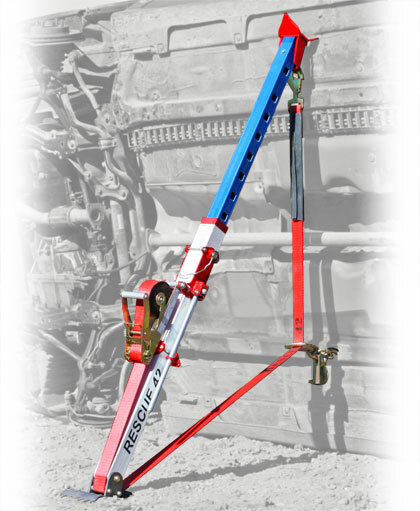 The TeleCrib® Junior is a compact and fast all-in-one strut designed for basic stabilization. 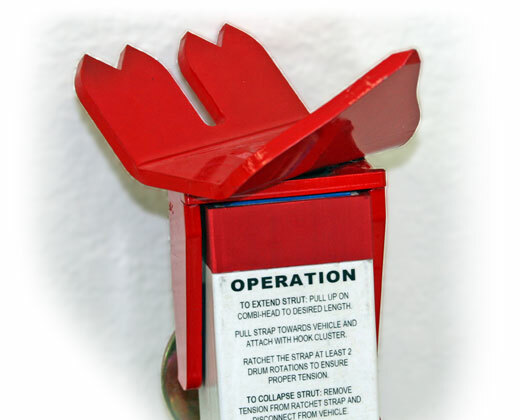 Specifically designed for Engines/Pumpers, they allow First Due Rescuers to stabilize a vehicle within minutes of arrival. Made of the same DuPont™ Kevlar® infused composite as the full sized TeleCrib® System, the TeleCrib® Junior is lightweight and simple to operate, but supports an impressive 5000 lb working load with a 2:1 safety factor. 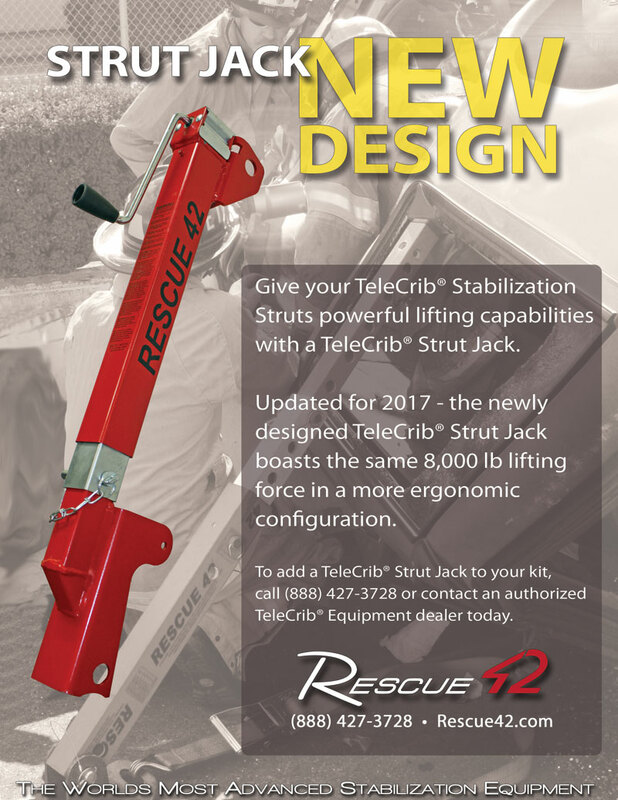 The TeleCrib® Junior interfaces seamlessly with the full TeleCrib® System Struts and Shark™ Collapsible Step Cribbing. Allows for vertical, horizontal or ceiling mounting. Watch the TeleCrib® Junior training video to see the full capabilities of this amazing all-in-one strut. Composite tubes are resistant to environmental and chemically corrosive materials (battery acid, salts, water, fuels, etc.) and offer exceptional impact resistance. Tubes are electrically non-conductive. 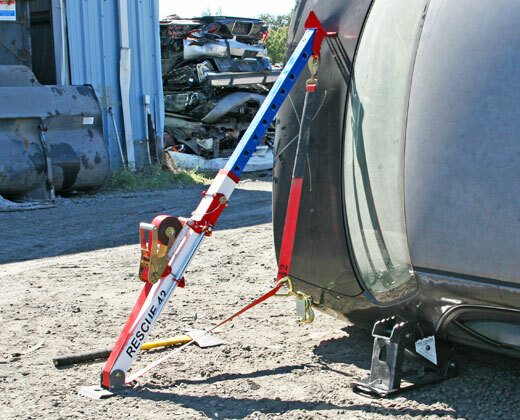 No couplings, twist locks or guess work – just slide out as much strut as you need and pin it. Simple design is easy to use reduces training time. 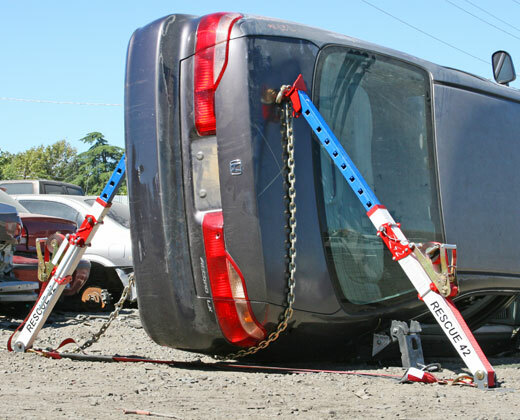 Combi-Head with classic piercing point, cradle, and spiked 3/8” chain slot back plate aggressively engages the vehicle from any angle. Spring Pins automatically lock the strut at the desired length by simply pulling up on the Combi-Head. Lifting the spring lever releases the pins for storage. 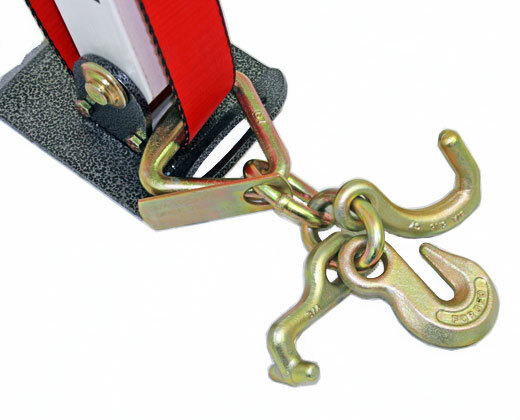 The attached, heavy duty ratchet strap is easy to use and includes a protective, cut resistant heat shield. 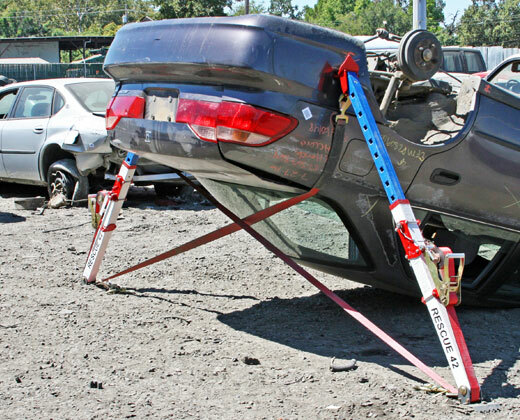 Safety interlock system prevents over-extension of strut tubes. An 18” forged spike rides with the strut in a side holster and can be used to nail the baseplate to the ground for additional stability. 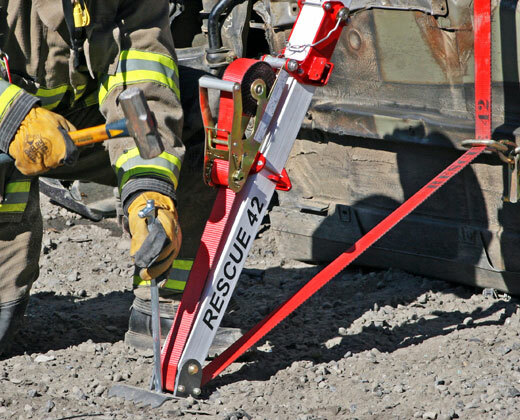 Hook cluster includes 3/8” chain hook, mini-J and hammer head to give multiple strap attachment options. 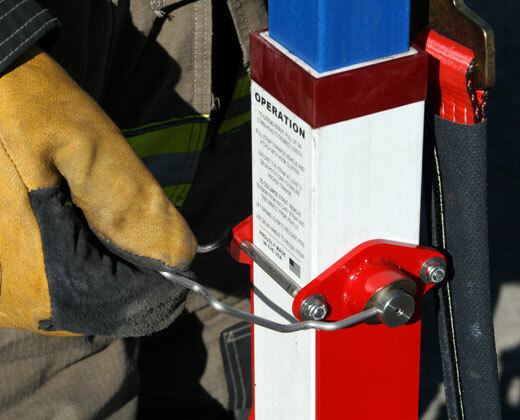 Rescue 42 TeleCrib® composite struts contain DuPont™ Kevlar® fiber. DuPont™ and Kevlar® are trademarks or registered trademarks of E.I. du Pont de Nemours and Company.